BellyFit Food and Beverages Pvt. Ltd., formed in the year 2010 is based in Gurugram, Haryana, India. We are engaged in offering healthy snacks that are high in demand in parties, functions and events. 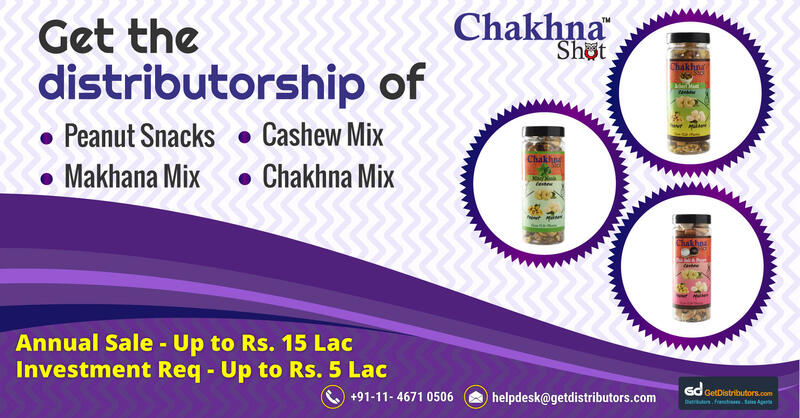 Our range is marketed under the brand name Chakhna Shot and includes Flavoured Makhana, Roasted Cashew, Roasted Nuts and other healthy snacks. These snacks are healthy and full of nutrients for weight loss and balanced lifestyle. We are very vigilant in matters of the quality control of our snacks. With our company growing continuously, we want to spread our business in other states of the country. For this, we need reliable state level distributors for our company.